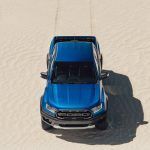 Ford has, at long last, pulled the wraps off of the brand-new, high-performance Ford Ranger Raptor pickup in Thailand, where Australia’s supply of mid-size Ford trucks is built. 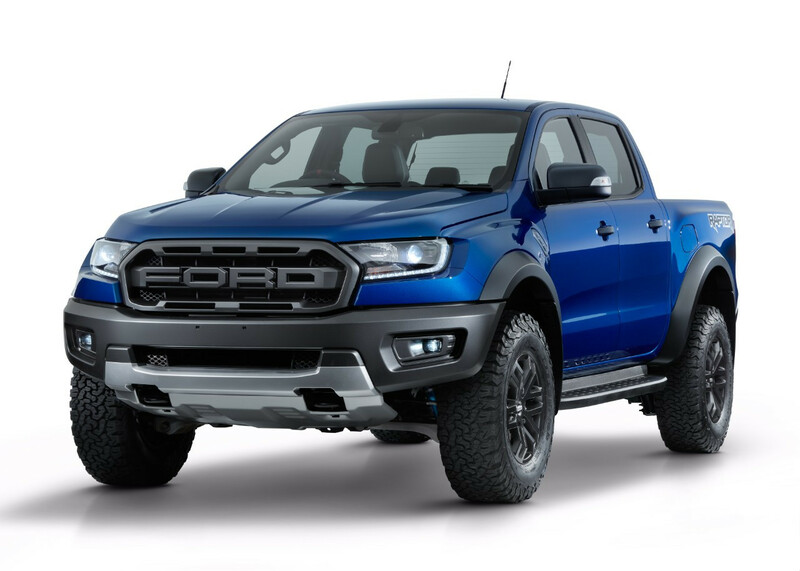 The new model brings the styling and performance sensibilities of the iconic F-150 Raptor to a smaller Blue Oval package for the first time, and a cursory glance is all it takes to see the resemblance. 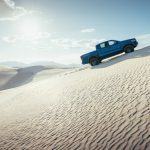 The new Ford Ranger Raptor is wholly unique from the standard truck, all the way down to its bones. 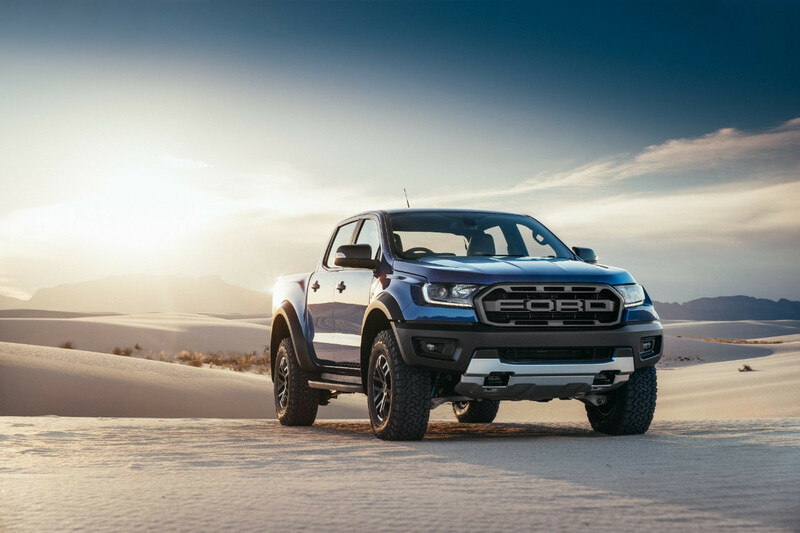 The frame has been redesigned with the ability to withstand abuse in mind, incorporating several grades of high-strength low-alloy (HSLA) steel for durability, and it maintains a special geometry that allows for a wider, 171-cm track width and a ground clearance of 28.3 cm. A new coilover suspension supports the rear of the truck, which uses a Watt’s link setup and a solid axle, and all four corners are damped by internal-bypass Fox Racing Shox with 46.6-mm pistons. At the front, those dampers are held by forged aluminum upper arms and cast aluminum lowers in an SLA (“Short Long Arms”) arrangement. 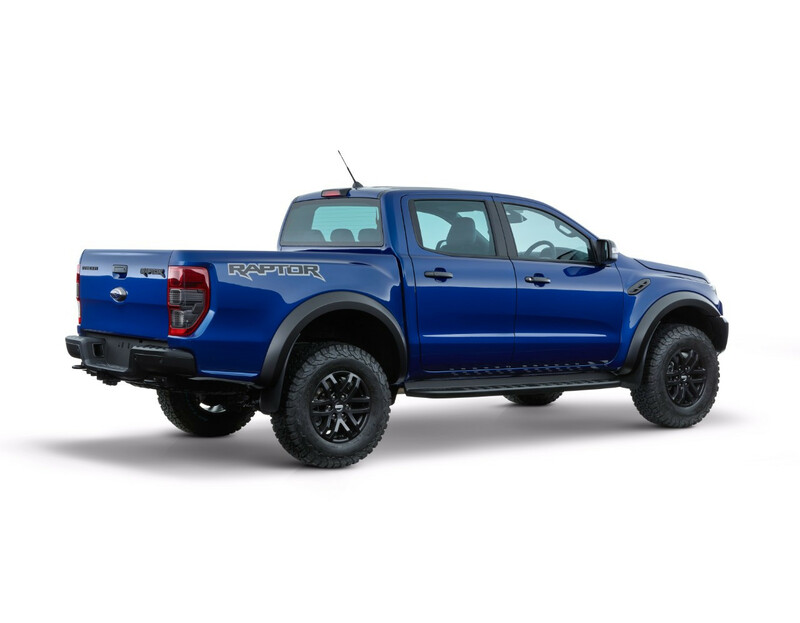 The Ranger Raptor can haul itself to a stop in a right hurry thanks to twin-piston front calipers that are 9.5 mm greater in diameter than standard, and a set of 54-mm rear disc brakes that replaces the regular truck’s drums. Front and rear rotors are vented, and measure 332 x 32 mm front, and 332 x 24 mm rear. 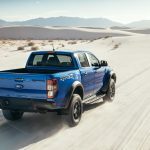 Of course, the best chassis in the world wouldn’t be worth much without a powertrain to back it up, and to that end, Ford has developed a new, bi-turbocharged 2.0-liter diesel engine for the Ford Ranger Raptor, capable of up to 210 horsepower and about 370 lb-ft of torque. 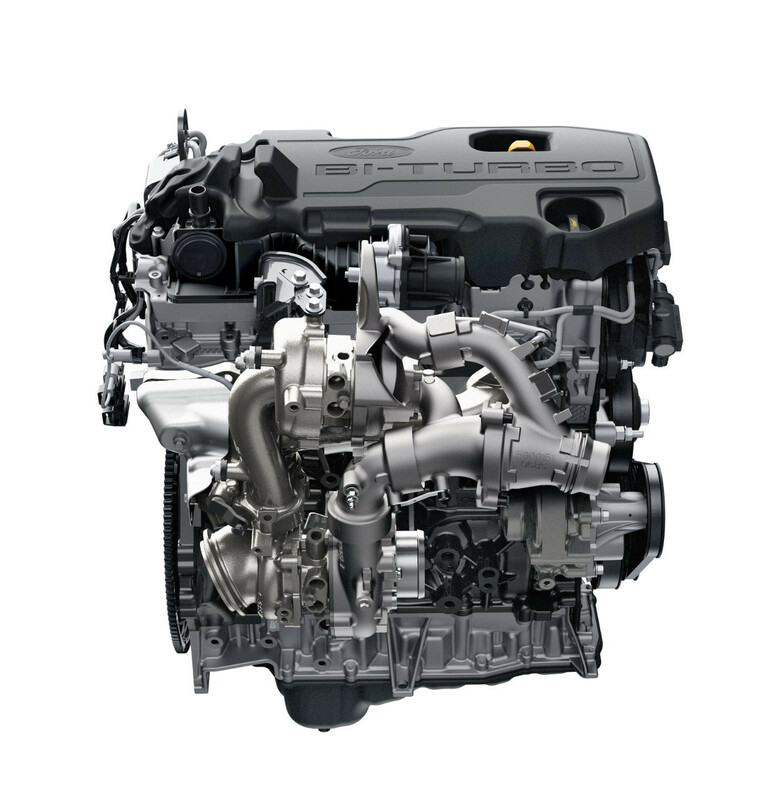 That gives it about the same torque as the 2.8L Duramax in the Colorado ZR1, with around 30 extra horsepower. It’s coupled with a 10-speed automatic transmission like that found in its big brother, the F-150 Raptor, giving it plenty of forward drive ratios to keep the engine within its power band. 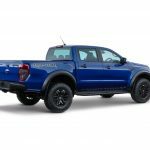 Helping the new Ranger Raptor put the power down is a set of BFGoodrich tires, measuring 285/70R17 in size, that have been specially developed for this truck. 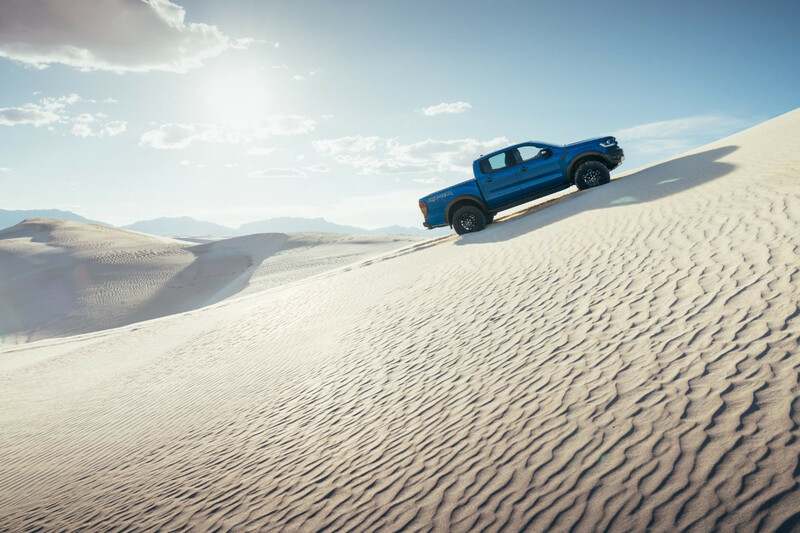 A firm sidewall and a grippy off-road tread provide confidence in all manner of rugged conditions. 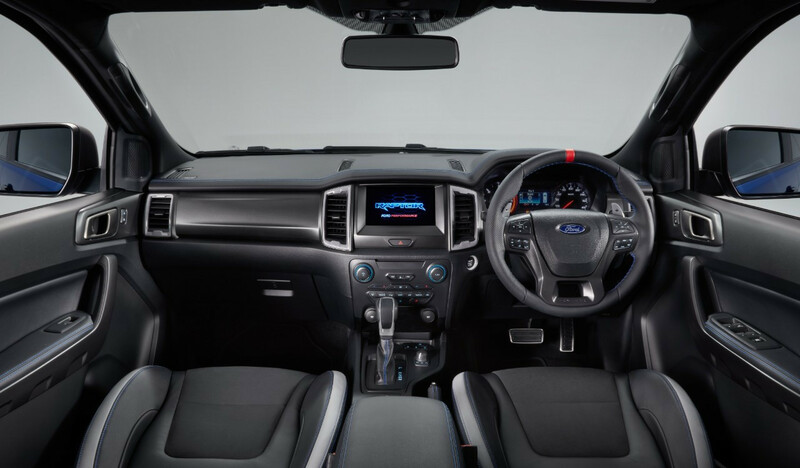 In addition, a Terrain Management System boasts a total of six drive modes that optimize things like traction and stability control, shift scheduling, and throttle mapping to suit various conditions. 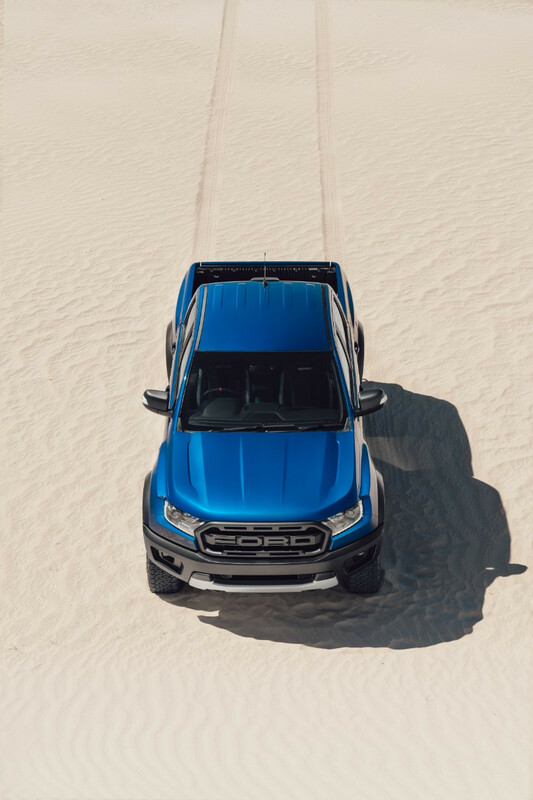 Those six modes are: Normal, Sport, Grass/Gravel/Snow, Mud/Sand, Rock, and Baja. As for the styling, well, just look at it. 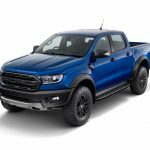 From head to toe, the brand-new Ford Ranger Raptor looks the part, thanks to a menacing, all-black grille with “FORD” stamped into the center, frame-mounted front and rear bumpers, composite fender flares, high-strength-steel bash plate, and rugged side steps designed to both prevent rock spray from hitting the rear of the truck, and allow rain, sand, and mud to drain. 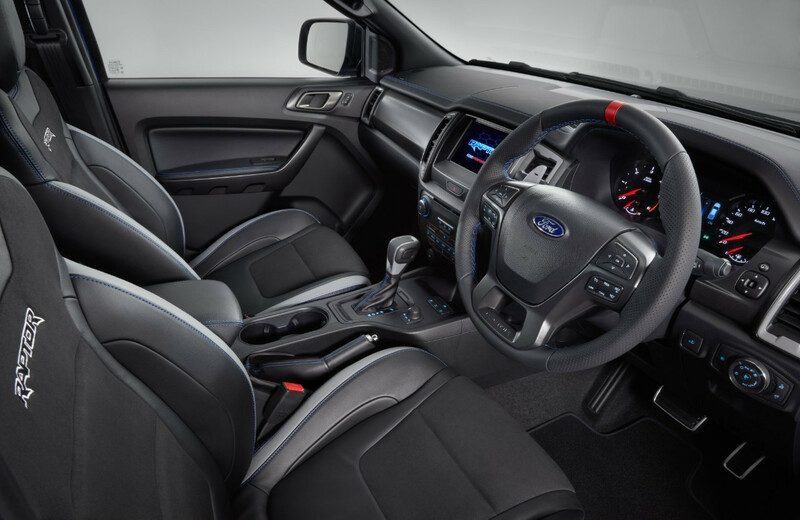 Inside, blue contrast stitching and leather-wrapped details abound, and the seats have been specially designed for high-speed off-road use, with technical suede helping to mitigate the sliding of occupants. 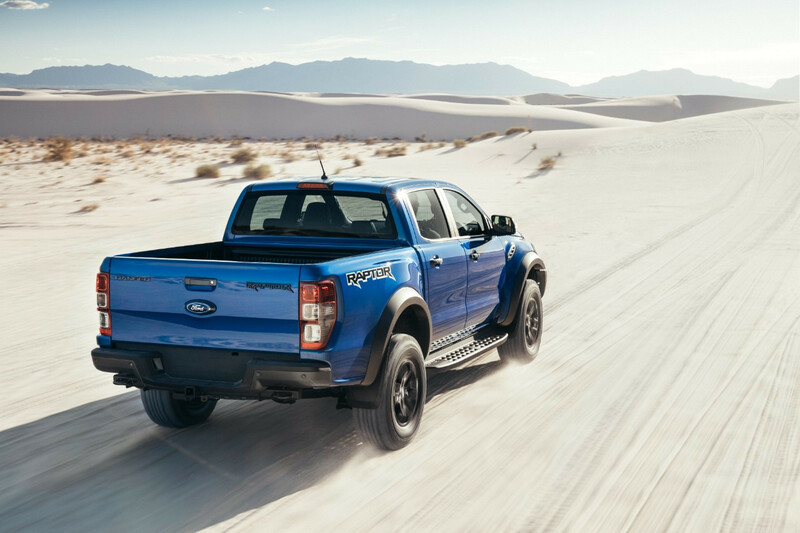 The Ranger Raptor’s exterior paint palate includes: Lightning Blue, Race Red, Shadow Black, Frozen White, and Conquer Grey. Given the details, we don’t doubt that’s the case. 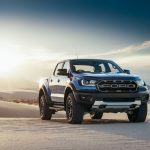 For Australia and a select few other global markets, the Ford Ranger Raptor is expected to go on sale later this year, with production taking place at Ford’s Thailand Manufacturing plant. It won’t make it’s way to North America – at least, not as shown. 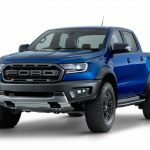 But we have a hunch that there may be another, slightly different version of the high-performance mid-size truck on the way for that market. Awesome! 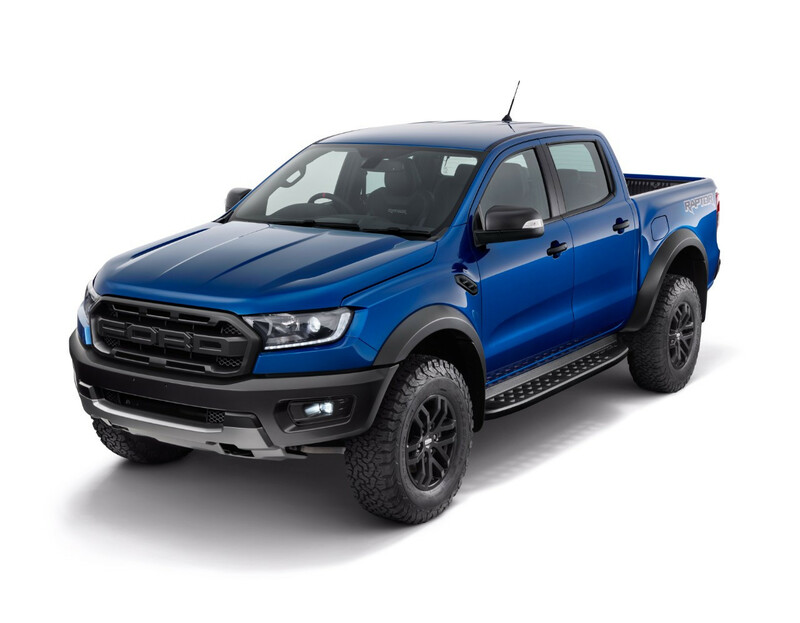 The baby Raptor looks great and 370LBFT of torque should be plenty to have some fun. Surprised they went diesel though. I wonder if there will be a gas option in the states.